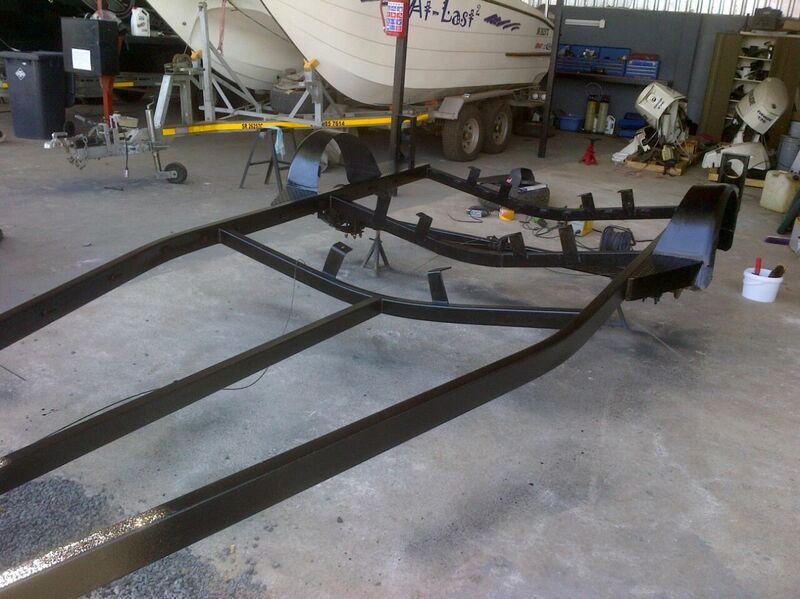 Mobile Marine Service has the knowledge and experience to be your one-stop trailer shop, whether you want trailer services or equipment installed, repairs to be done, you can rely on us for the best advice and the best service. Talk to us, we know about all kinds of trailers, services and repairs, wiring, safety and electronics, you name it. Our professional technicians are qualified to assess and repair your trailer. MMS services all kinds of trailers whether it is for a boat, jetski, recreational, 4x4, camping, horse, work and small Coffee Shop Fibreglass trailers. We also repair the fibreglass on these trailers. We take pride in our client’s trailers and safety always comes 1st! Our workshops can assist you with any mechanical, technical and informative assistance you require and is capable of handling everything from fiberglass repairs and repairs to paint jobs to complete trailer refurbishment. Our workshop carries out the servicing, repairs, changes, painting and any other upgrades that you would require on your trailer. Please contact us to book your trailer in for any servicing or repair work.